If you read the most recent post, you know: I’m on a mission to knock items off my Chicago bucket list. 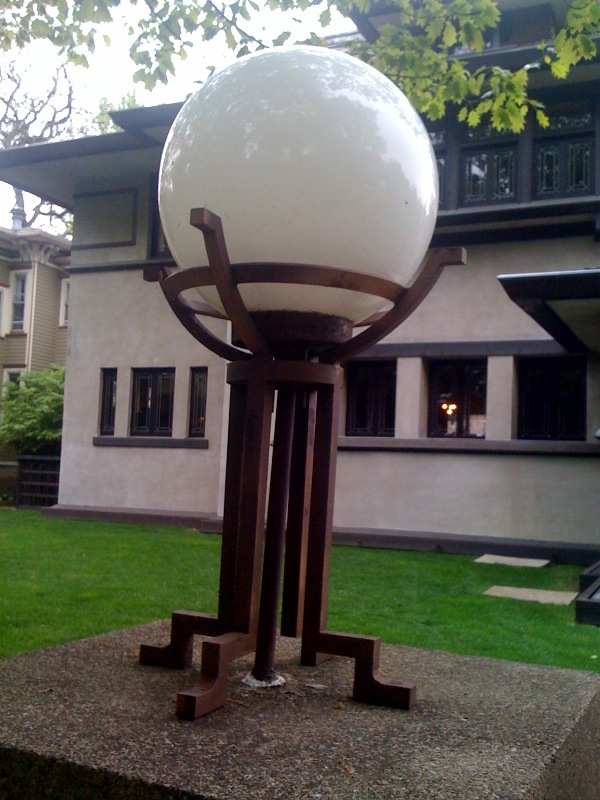 One activity I’ve been excited to cross off my list is the Frank Lloyd Wright Home and Studio in Oak Park. I’ve been particularly itching to visit since reading the historical fiction Loving Frank, which chronicles the life of Wright’s mistress Mamah Cheney. My coworker and pal Liz also read the book, so we made a pact to spend the afternoon in Oak Park. I hadn’t been to Oak Park in awhile, so I’d forgotten how quaint and adorable the suburb is. Its downtown is filled with specialty shops, cute restaurants and brick streets. The village’s center has a pristine, 1950s quality to it, and you get the sense that it has only experienced subtle modern changes over the years. 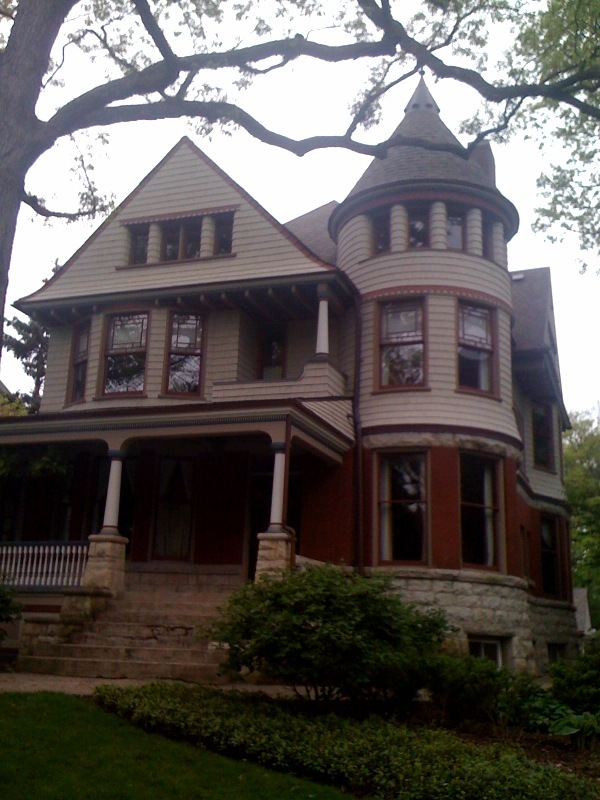 The houses that line the serene streets are a beautiful melange of Victorian and prairie styles. 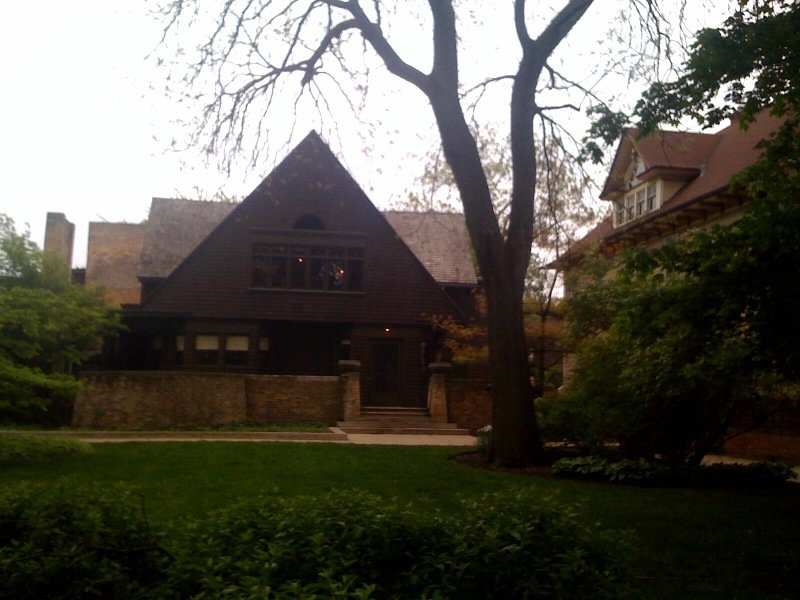 And Oak Park’s close proximity to the city makes it even more attractive. Even though I’m not ready to fashion a suburban girl, I certainly don’t hate the idea of living there one day. 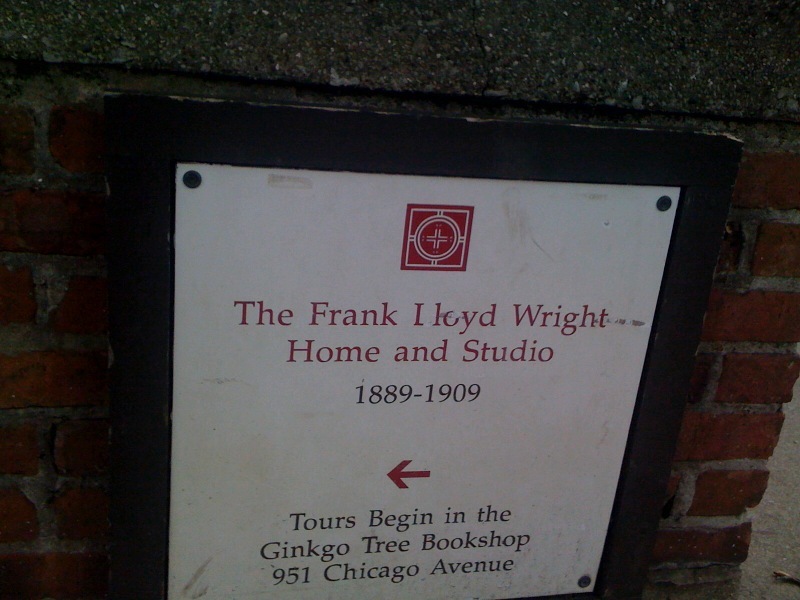 12:20pm was the time listed on our tickets to the tour of Wright’s Home and Studio. Liz and I rode the Green Line for the 45-minute trip west, and I couldn’t help but be mesmerized by the continuous transformation of the landscape. We arrived with enough to time to grab coffee before our tour. As we waited for the tour to begin, I discovered that I’d failed to bring my camera. Of course. Since interior photography wasn’t permitted anyway, iPhone was happy to take on the task. Let us be your unofficial tour guide. 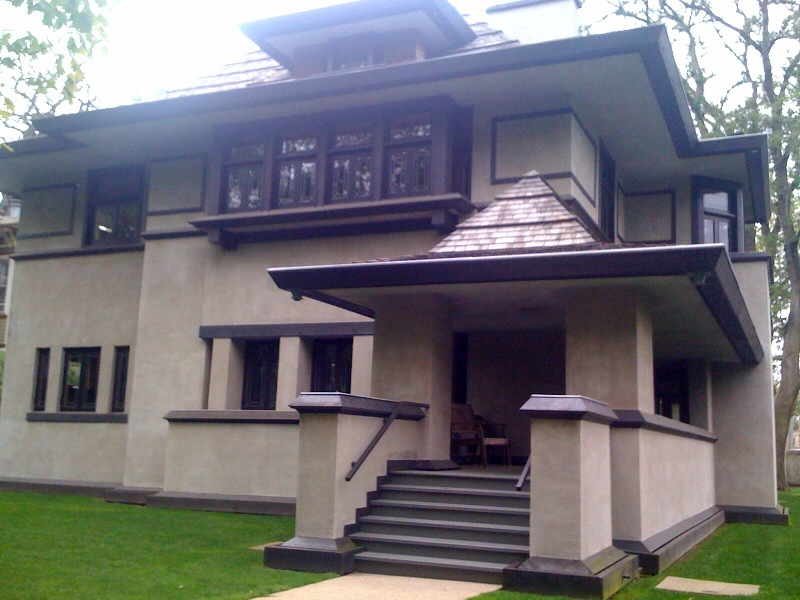 We learned that FLW’s Home and Studio was not built in his signature prairie style, but in shingle style. The thing that struck me about each room is that, as the mediocre tour guide noted, function and form were one in the same. 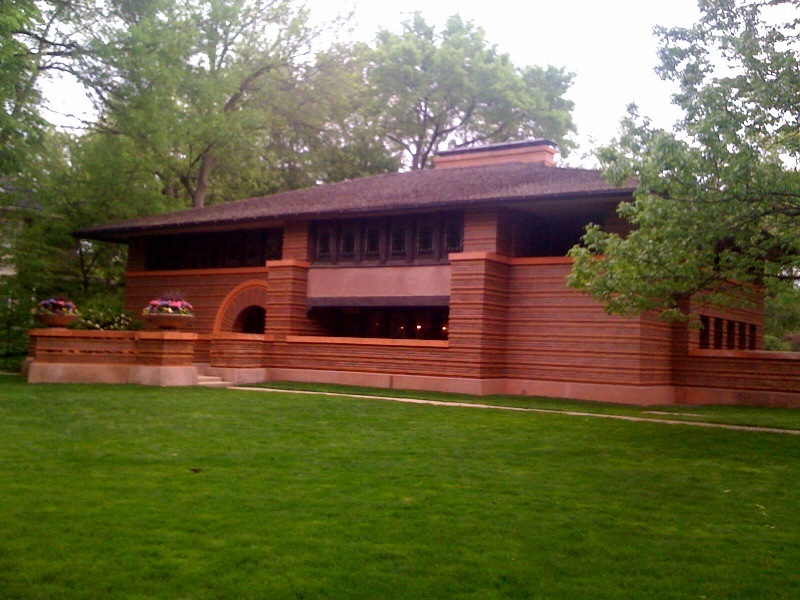 It was evident that Wright thought long and hard about how each room would be used and then designed it accordingly. Now back to the exterior. After the tour, we hit up the gift shop and then made our way out. 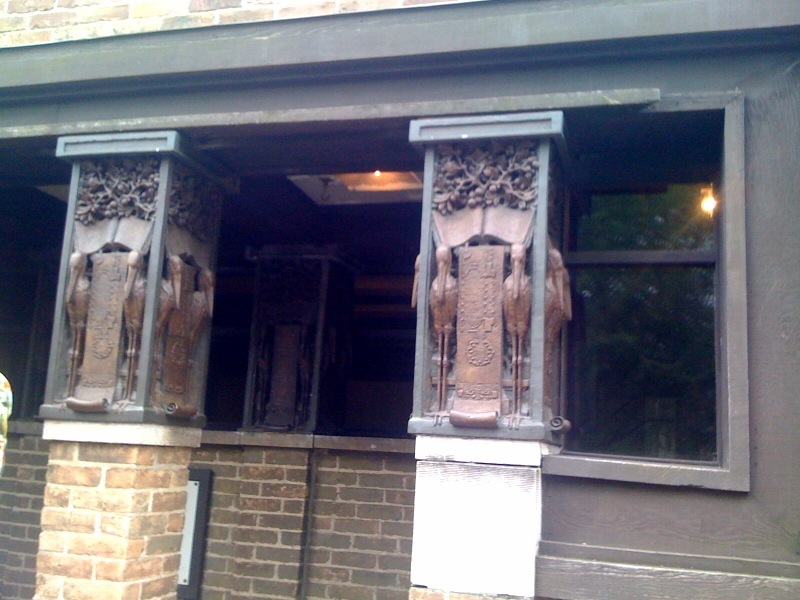 Feeling cultured and educated on the ways of prairie-style architecture, we ventured down Forest Avenue and gawked over the several FLW houses that flank the historic street. I simply adore this light fixture. This isn't a Wright house. It's Victorian. I simply loved how the architectural styles mingle amongst each other on the same street. 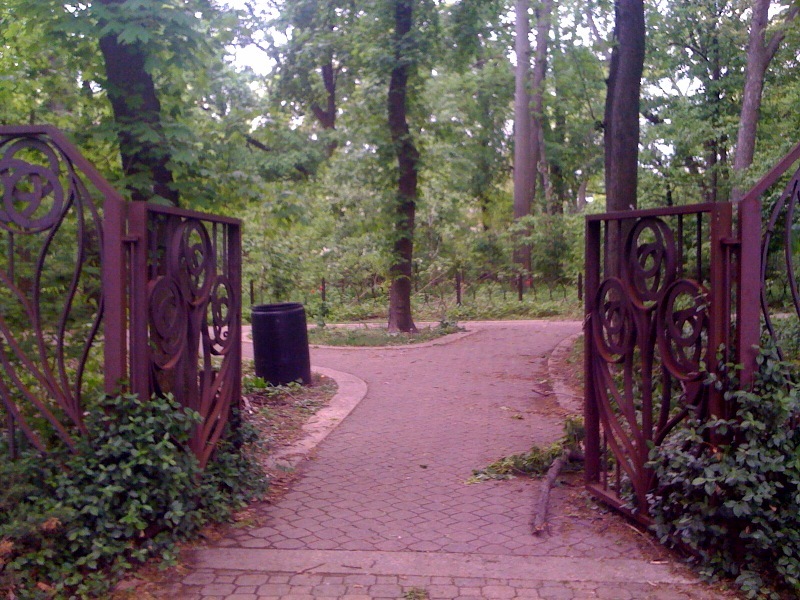 The entrance to a beautiful park we stumbled upon. For some reason, this reminded me of a fairy tale. Liz and I capped off a perfectly lovely afternoon with a visit to her twin sister Megan’s apartment to see her gorgeous wedding dress, followed by a stop to the Marion Street Cheese Market. Architecture + Good company + French triple cream. Capriole goat cheese. Delicious Garnacha. My pal Randall Arthur Morris posted a link on Facebook a few weeks ago that made me think. The link was to a project called Before I Die, and it surveys people across the country (and in India) about, you guessed it, what they want to do before they die. Written on Polaroids, the respondents’ answers are honest, heartbreaking, simple, and above all, human. It’s a topic that’s been on my mind more and more as I approach 30: What the hell do I want to accomplish in life? However, that’s probably a blog post no one wants to read. And one I’m not yet prepared to write. One thing that is apparent is that I want to soak up all that life has to offer: experiences, people, food and culture. That got me thinking about the things left to accomplish in Chicago. That’s much more manageable than thinking through all the things I want to accomplish fore I die. And in some ways, it’s the means to the ends. I’ve lived here four and a half years, and there’s still much left to accomplish. There just doesn’t seem to be enough weekends (or money) to get everything done. I’ll admit it. I haven’t spent one minute walking down Devon Street, let alone eating in the smorgasbord of dining establishments. I can only imagine all the delicious Indian food that I’m missing out on. Since I started writing this post, I’ve actually signed up for the class! Yay! Stay tuned for details. Architecture. Oak Park. They’re two things that go well together. 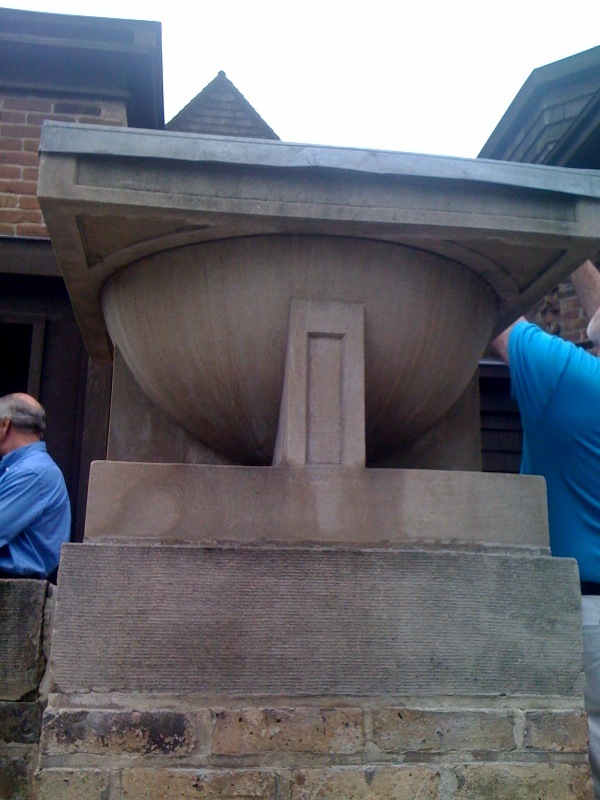 There’s a great historical fictional called Loving Frank that inspired me to learn more about Frank Lloyd Wright, his vision and creative designs. Stay tuned for more on this one as well. It’s embarrassing that I’ve not yet been to Green Mill. I used to share a cross street with the historical jazz establishment. And furthermore, I’ve had loose plans to check it out several times. Jazz fail. Pasta and wine are two things I love dearly. It’s inexcusable that I haven’t ventured to the Chicago neighborhood that would enable me to gorge myself on these simultaneously. Forget Lollapalooza. I really have no desire to spend an entire sweltering weekend with sweaty, drunk crowds. However, I need to experience Pitchfork and all the amazing music that comes with it. Someone please invite me to a show or pressure me into buying tickets. At least for one day of the shows. So, I’ve lived in this neighborhood for nearly two years. I love it. However, because nothing necessitates a need to explore further west than my street. So, I haven’t yet learned as to how the neighborhood became so unique and interesting. There are many delis, churches and shops yet to explore. Even if you don’t care about St. Patrick’s Day or wearing green that one day of the year (which I don’t), bearing the crowds to watch the Chicago River turn green seems like a rite of passage. I’ll be honest. I don’t know much about Hyde Park, other than the University of Chicago and President Obama’s home away from the White House are located there. All the more reasons to check out the neighborhood. I’ve seen many live shows in Chicago, but there are several yet to step foot in. Like Double Door and the Aragon. I always thought that only real runners run marathons. I’ve learned the truth though, that it’s mostly real people like me who set a goal to run the marathon and make it happen. I’ll be running the Chicago Marathon to raise funds for the American Liver Foundation on 10.10.10. I might be crazy. This is a pretty place filled with botanical treasures. End of story. I’ve only been to the opera once. It was a performance put on by alma mater, Indiana University, which is actually internationally renowned for its music program. However, I feel that I should experience a professional opera performance. Perhaps Macbeth or A Midsummer Night’s Dream? Is my husband reading this? It’s not that I am dying to study the stars and planets, it’s more that it’s the only major museum in Chicago that I haven’t yet visited. Family visits may be a good excuse to give this place a shot. I’m sure that, wherever you live, there are probably things you haven’t done in your locale. Honest truth: I used to think that Seasonal Affective Disorder—or SAD—was sort of a BS disorder. This year, I’m a believer. I’ve been inexplicably glum (or melancholy, as Lisa would want me to say), grumpy and withdrawn for weeks. Everything is fine, but the constant gray has pervaded my mood. However, I did find a brief diversion last week. I knew a used bookstore called Open Books was close to my office, but I didn’t realize how close it was until I stumbled upon it during my lunch break. 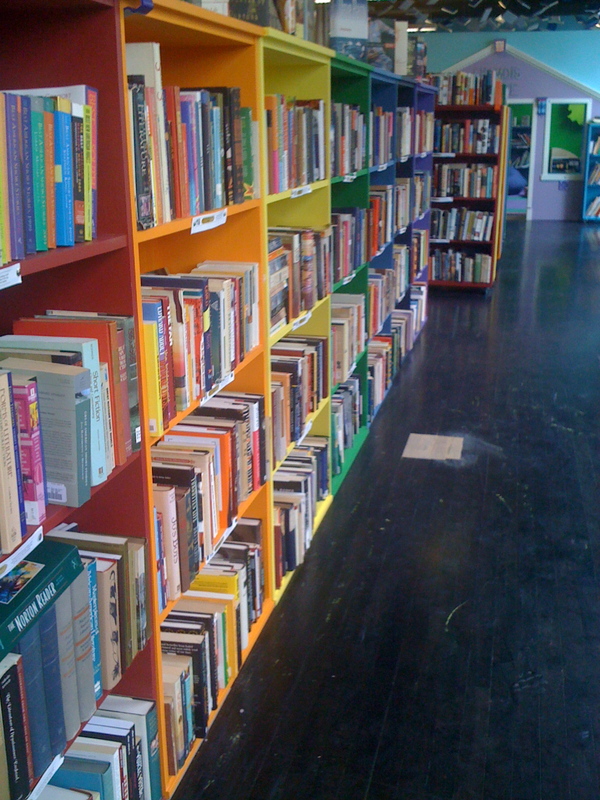 It’s a nonprofit organization that supports literacy efforts and sells some really great used books. It’s a super cute shop to boot. My spirits were immediately lifted upon discovery. I've passed this banner a million times without notice. 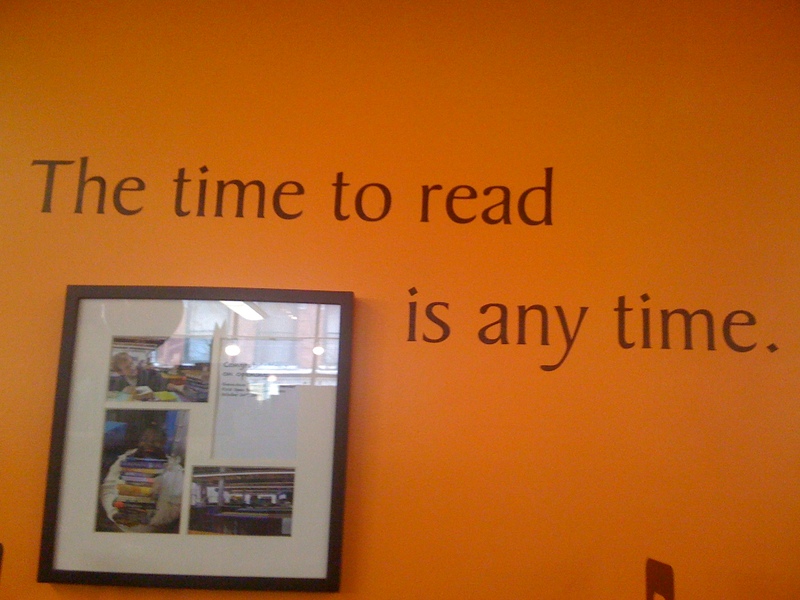 You said it, orange wall. 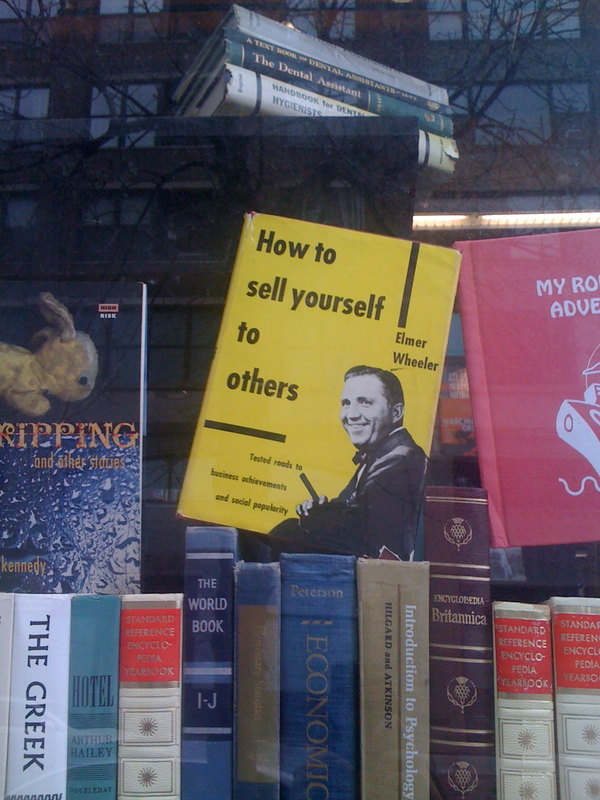 It’s funny how popping in this little gem of a bookstore transformed my whole day. Something about bookstores make me happy, as if I’m experiencing an endangered species before it’s too late. I also find being around so many expressions of creativity invigorating. 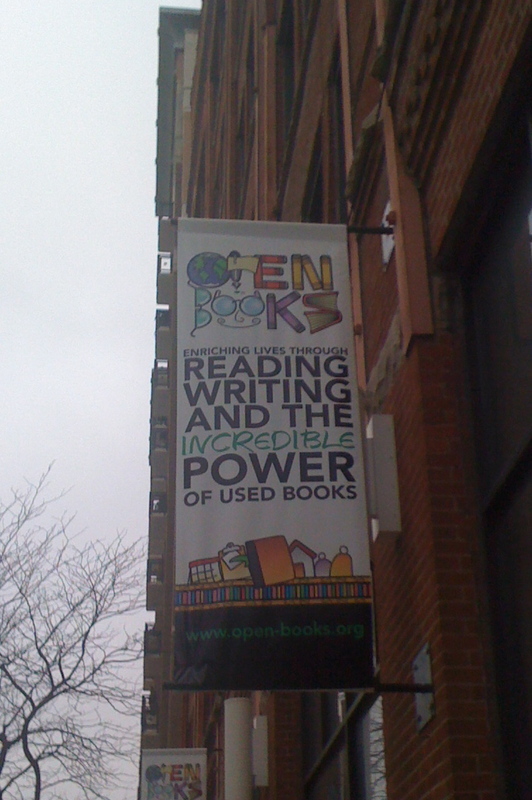 Open Books is inspiring for the work it does, and I was happy to make a meager contribution. 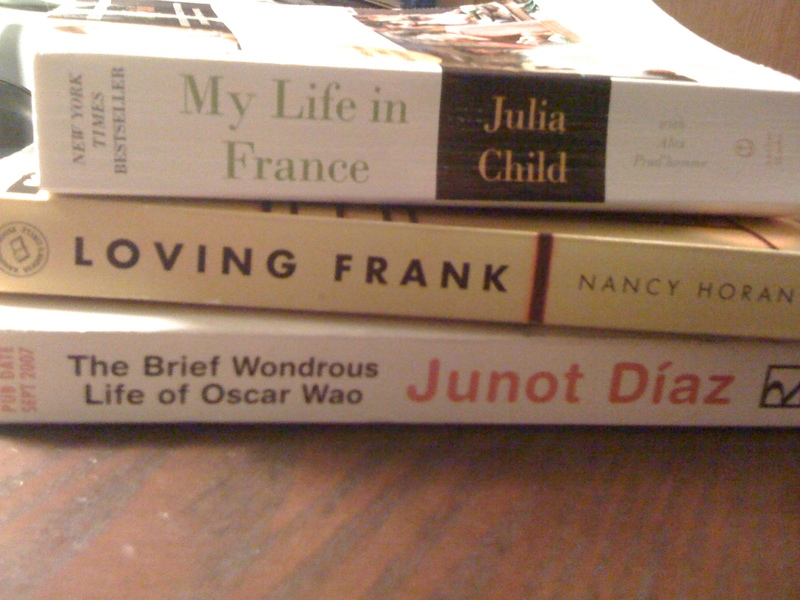 The fact that I purchased three great books for the price of one book I just bought at Borders was icing on the cake. Until spring comes, I’ll be using hidden gems like Open Books as a coping mechanism. The new Filter coffee shop on Milwaukee may just be the next one. Send any other recommendations you may have.